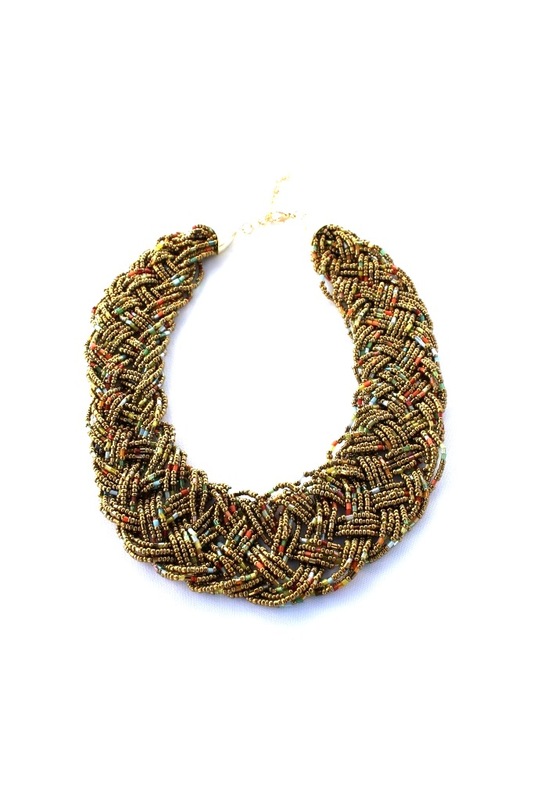 This stunning braided necklace is designed to form a round fashion piece. 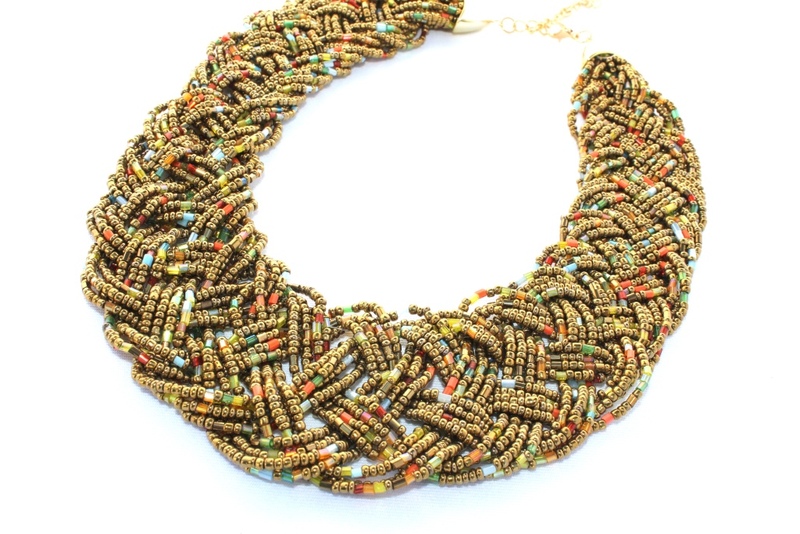 It is made up of gold beading with pops of light blue, orange, yellow, green, and red beads with gold plated aluminum end pieces. At every angle you turn, a hint of sparkle from these beads pop right out. A true classic beauty. Adjustable lobster clasp closure. A medallion that draws in the eye, it is made up of a single fresh water pearl center surrounded by green toned German crystals artistically wired to form this beautifully shaped wired piece of art. Aluminum wiring is used to accent and finish this collared style piece. Hook closure makes this piece adjustable. A true artistic piece. This necklace is comprised of German crystals surrounded by tints of green Japanese seed beads and pink toned German crystals to make these 3 flower like effects into a drop down V shape. Tan satin ribbon closure is the perfect finish to this one of a kind piece.